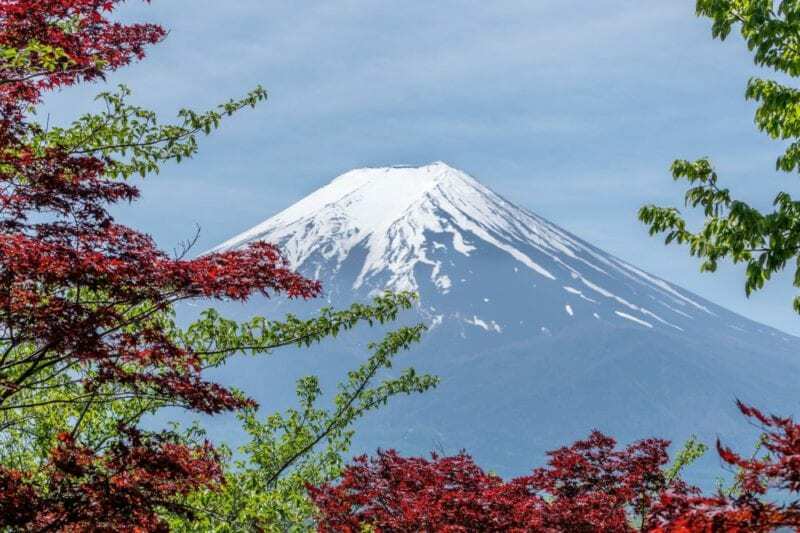 Japan, a country with such diversity from its chaotic and kooky cities like Tokyo and Osaka, to it’s scenic mountains and a long history of culture and tradition. 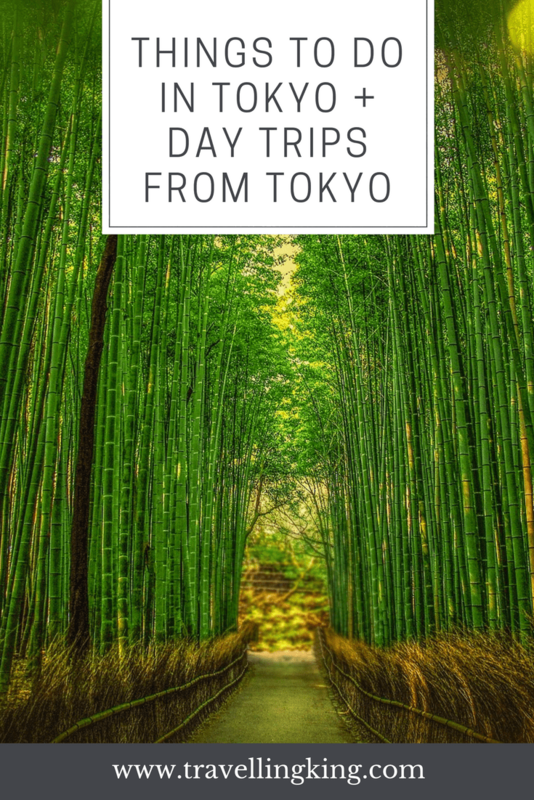 A holiday to Japan will include delicious Japanese food, scenic temples and shrines, Zen gardens, rich culture and crazy experiences you could only imagine in your dreams. 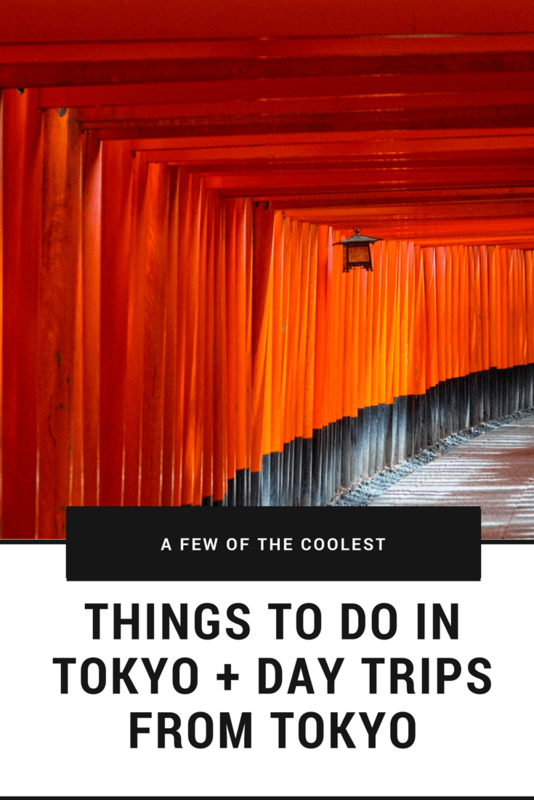 Below is our list of the coolest things to do in Tokyo and we have also included some unique day trips from Tokyo. 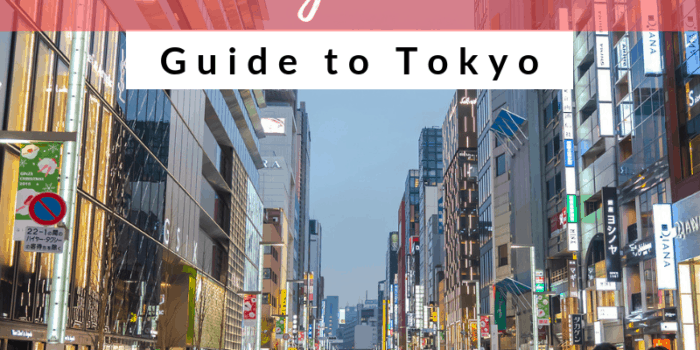 Tokyo is well known for its kooky and bizarre restaurants and none are more famous than the Robot Restaurant in Kabukicho’s red light district. The Robot Restaurant is a 1-hour dinner show featuring an array of dancers, special effects, and as the name suggests – robots. If you want an ‘only in Japan” experience, then a night at the Robot show is a must. The show is so kooky that its almost impossible to explain, people often say its what they image being on LSD must be like. 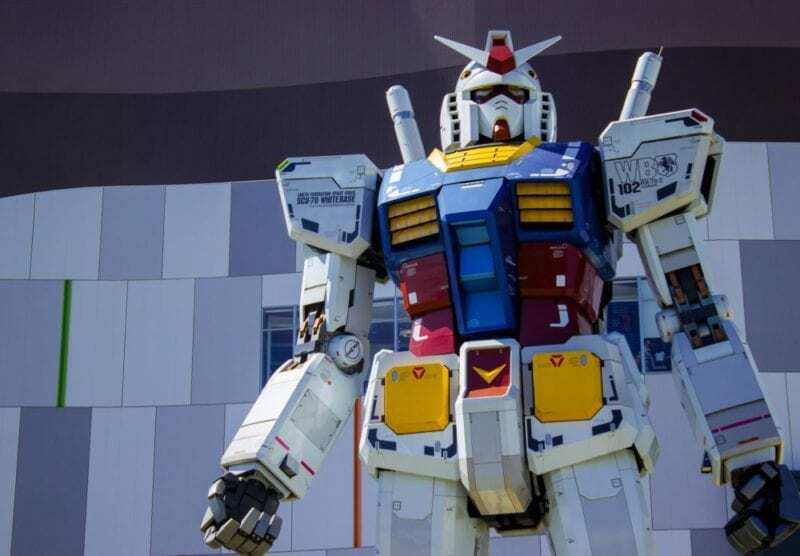 The show features crazy robots, giant pandas, dinosaurs, ninjas and glitzy dancing girls in what appears to be fight scenes as well as robots riding scooters and segways; flashing lights, drums and blaring techno music. The Robot show is extremely popular so booking in advance is a must. Tickets are pricey but for the craziest experience of your life – well worth it – however there are specials on websites such as Viator, where you can get cheaper tickets. The Robot Restaurant is about a 15-minute walk from the Shinjuku Station. 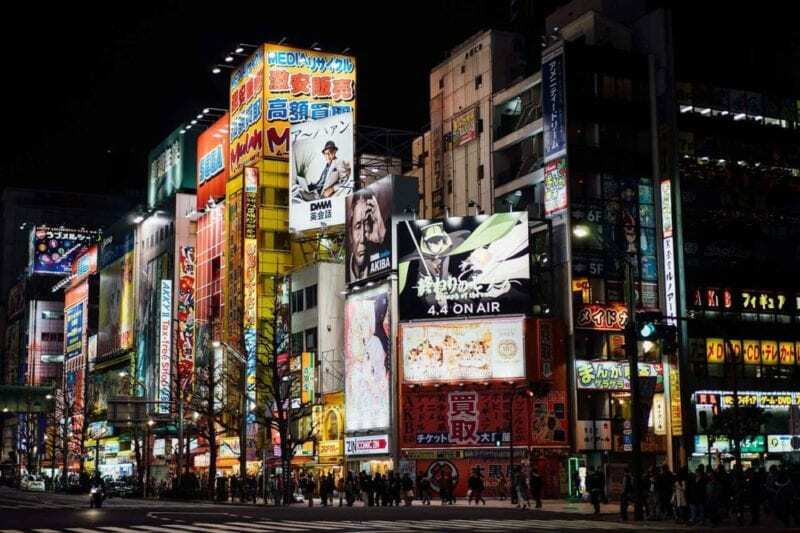 Whether you are into anime or not you will absolutely love exploring the city of Akihabara. Akihabara is the centre of otaku culture and home to lots amusement arcades and cheap tech shops. 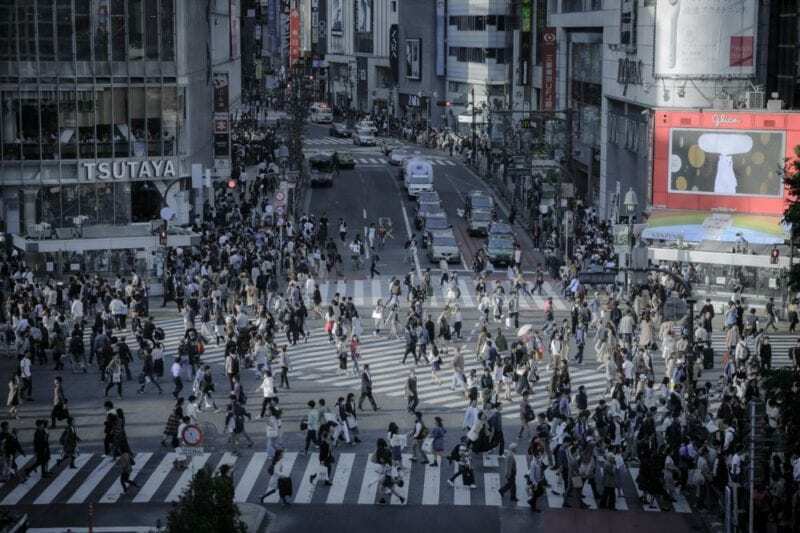 A great place to base yourself whilst in Tokyo is Shibuya. 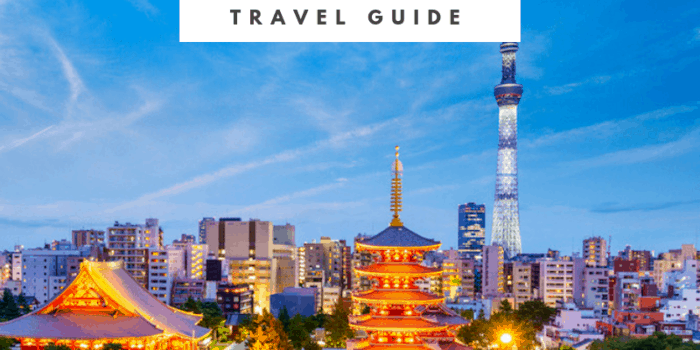 From here you can easily get around to see all of Tokyo’s’ attractions as well as Shibuya itself being a great place to explore the bars, malls, restaurants and karaoke bars. Shibuya is home to the famous Shibuya Crossing. Said to be the busiest intersection in the world. This crossing has been featured in several films including Lost in Translation, Fast and Furious and Resident Evil. Hachiko Statue – the famous statue about a dog who use to wait each day for his owner at the Shibuya train station, so they could walk home together. One day the owner died and never returned to the station, however the dog still waited every night for 7 years. 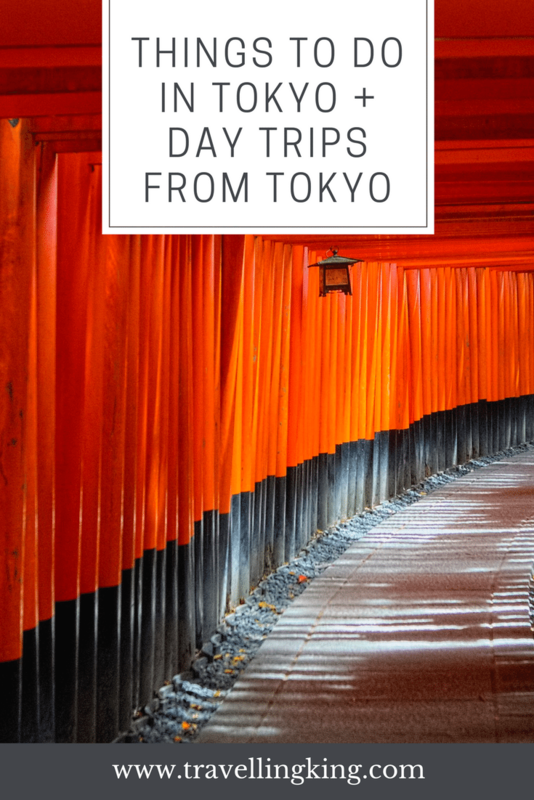 Luckily Japan has an excellent transport system with flights leaving hourly to high speed trains zipping around the country, making day trips a breeze! If you haven’t got time to spend a few days in the Mt. Fuji and Hakone area, then thanks to Japan’s fantastic trains, it still makes a fantastic day trip from Tokyo. One thing to keep in mind when going to see Mt. Fuji is that more often than night the clouds do not allow you to see that famous view. Regardless it is still worth visiting the area. 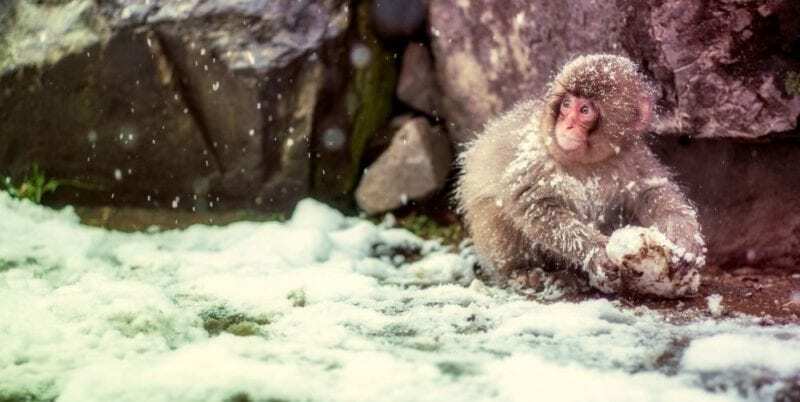 It is well worth an overnight trip from Tokyo to see the snow monkeys in the Jigukundani Snow Monkey Park. These gorgeous little red face monkeys swim, play and relax in the park’s man made hot spring. 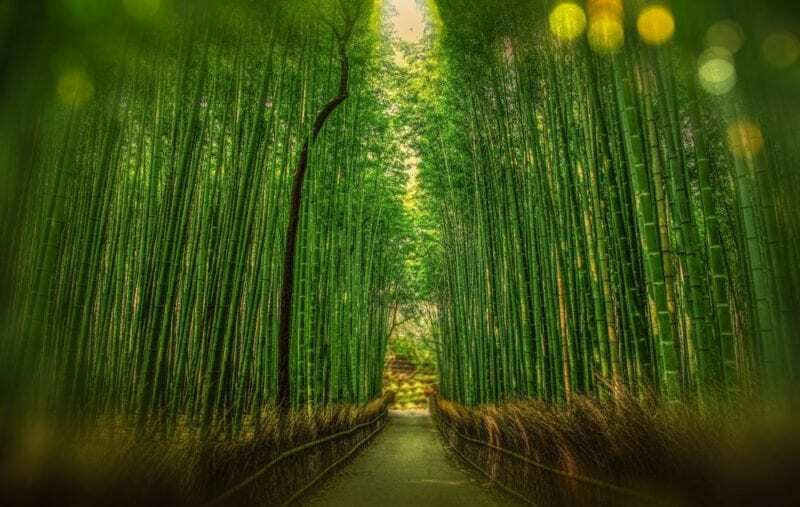 To reach the “monkey spa” you need to take a 30 minute walk through a pine forest. Just a word of caution the walk can be quite slippery in snowy conditions. You can easily spend a few hours here simply watching these mischievous monkeys. Spend the night in a traditional ryokan before returning to Tokyo. 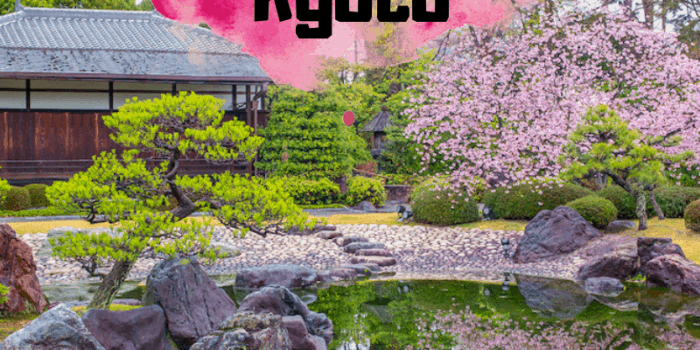 Kyoto is a fabulous city to explore to get a better feel for Japan’s vibrant culture, history and tradition. 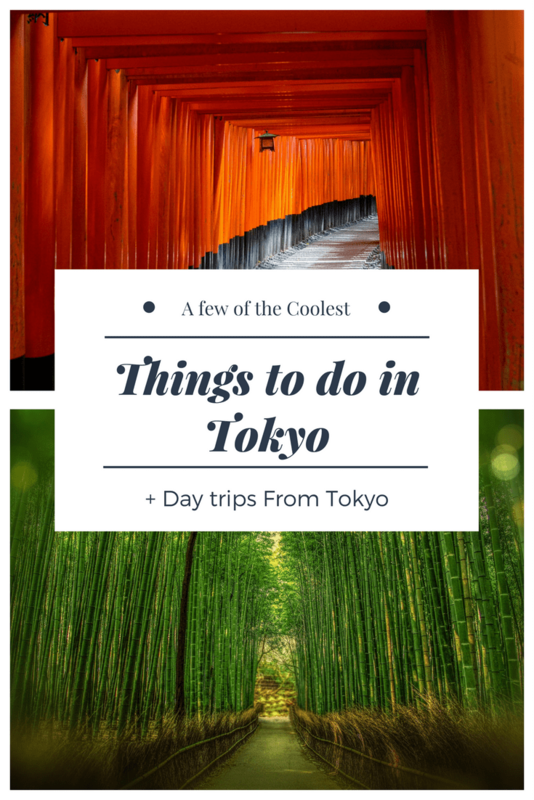 It is highly recommended that your visit to Japan includes at least a few days here. 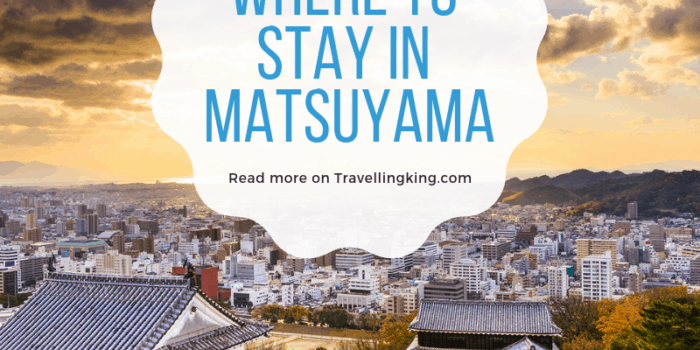 Stay at a traditional ryokan Inn – experience Japanese hospitality known as omotenashi. 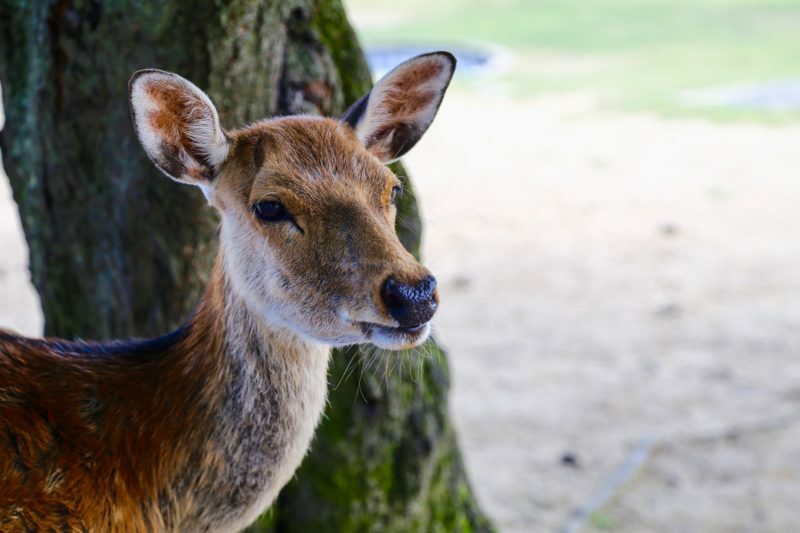 For those staying in Osaka or Kyoto a great day trip is a visit to Nara Deer Park. The Nara Deer Park is a public park located in the city of Nara around 1 kilometres (a 15-minute walk) from the train station. Within the park there are over 1200 wild sika deer freely roam which visitors are welcome to feed. According to the legendary history of Kasuga Shrine, a mythological god Takemikazuchi arrived in Nara on a white deer to guard the newly built capital of Heijō-kyō. Since then the deer have been regarded as heavenly animals, protecting the city and the country. The park is free to enter and within the park you can purchase deer biscuits to feed to the deer. Within the deer park there are a number of beautiful temples as well as the Nara National Museum to visit. 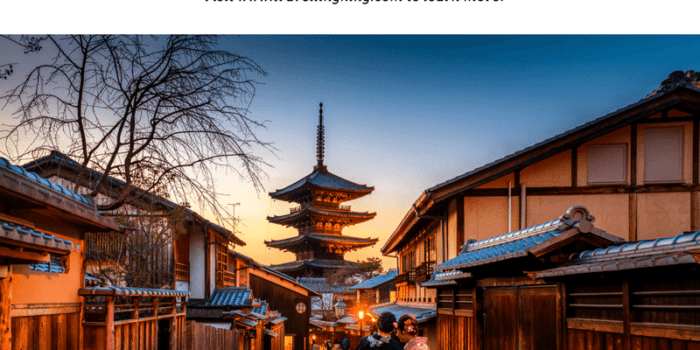 If you have time, other places to visit in Nara include Mochi making demonstrations, the Todaiji Temple and why not try some Nara persimmon leaf sushi. Whilst you’re in Hiroshima, make sure you hop on the ferry to visit the quaint and picturesque island of Miyajima Island. 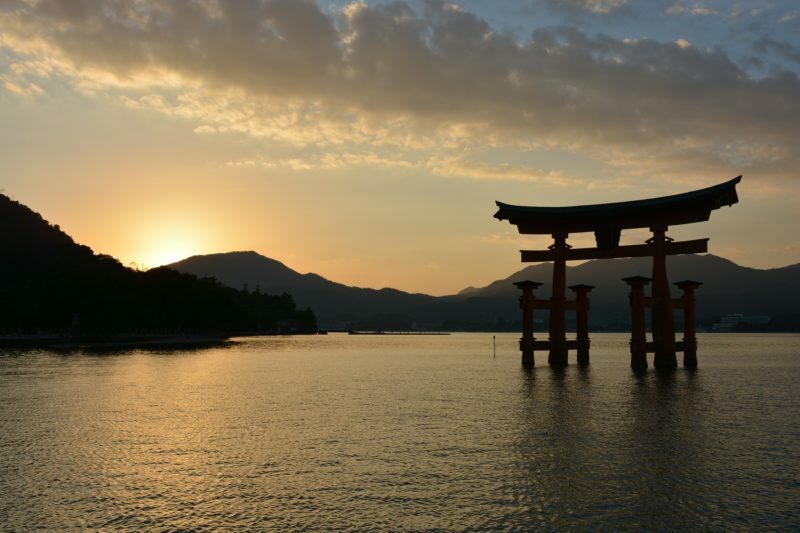 Miyajima Island is home to the second World Heritage Site in Hiroshima, the Itsukushima Shrine. The Itsukushima Shrine is the only shrine in the world which has a tori-gate and shrine building in the middle of the sea. The shrine consists of multiple buildings and is considered to be one of the best three views in Japan. 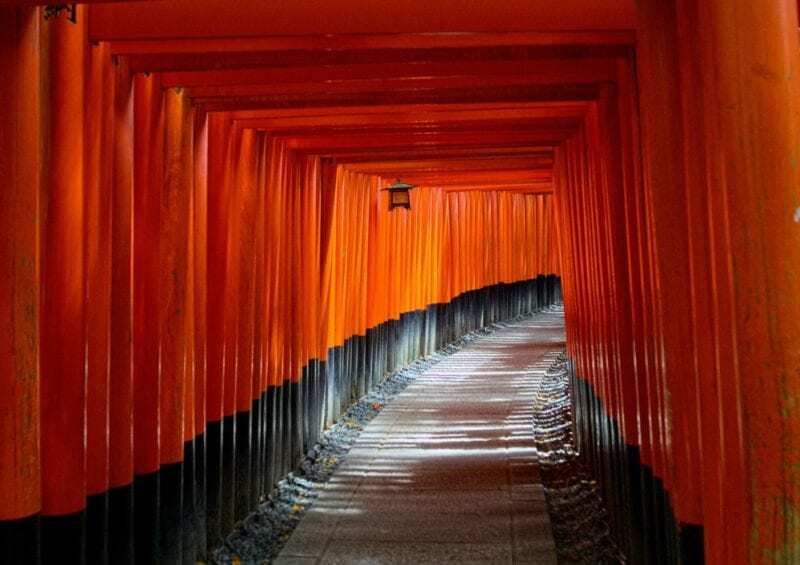 The Great Torii, which is part of the Itsukushima Shrine, is an attraction in itself. The best time to view the free-standing gate is during high tide to get the illusion that it is floating on the sea. 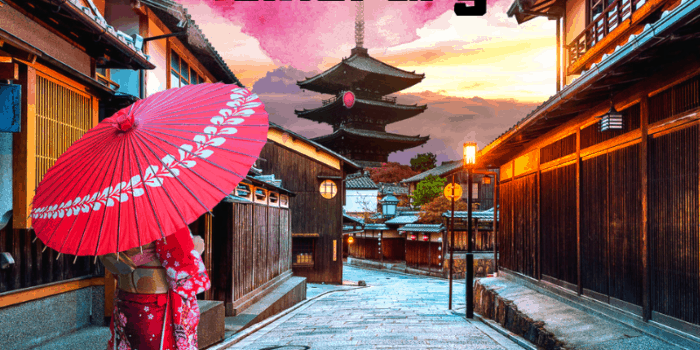 A day trip to Miyajima Island is easy from Hiroshima but with Japan’s fast trains it is also possible from Oaska and Kyoto. Hiroshima was largely destroyed in 1945 by an atomic bomb during World War II. Today, the Hiroshima Peace Memorial Park commemorates the tragic event and is a must see for tourists visiting the area. There are various places worth visiting in Park, with the most visited site being the Genbaku Dome, also known as the A-Bomb Dome. 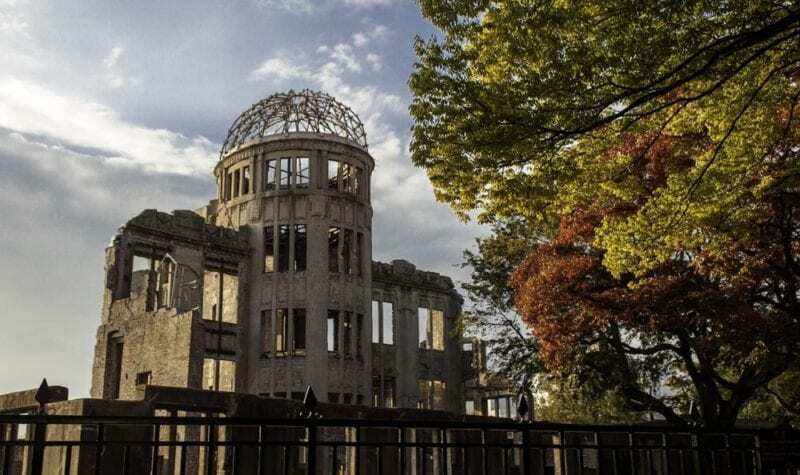 The A-Bomb dome is the most symbolic building in Hiroshima City where the first atomic bomb was dropped and miraculously one of the few buildings that was left standing. The site has been a World Heritage Site since 1996. Children’s Peace Monument which remembers the thousands of children who were killed by the blast.